We all love our privacy even on social medias. WhatsApp has never given an option to hide the last seen timestamp, which it shows to everyone who has your phone number. But with the recent update for Android devices you can now do so easily. Download the latest version of WhatsApp from the Play Store or by downloading it from the official website. 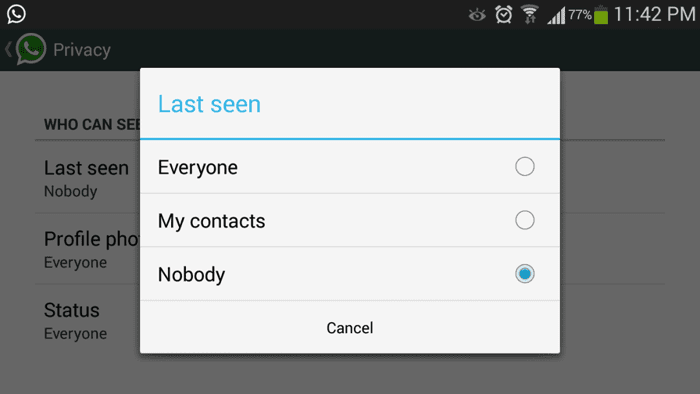 NOTE: When hiding your last seen status will also hide the last seen status of others from your self.